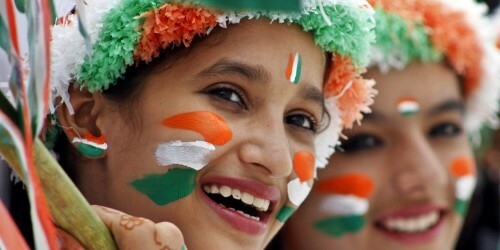 This Republic Day, feel patriotic in our recommended list of casual outfit ideas! Lohri, Makar Sankranti, Bihu, Pongal and now Republic day. The earlier ones were harvest festivals celebrated in different parts of India, the last one is a national one celebrated all over India. Dressing up for a festival has its own share of fun and excitement. 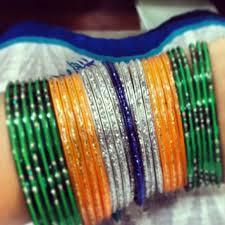 Choosing an outfit for the R-day is the easiest of all. Wearing your patriotism on your sleeve can be your dressing mantra. 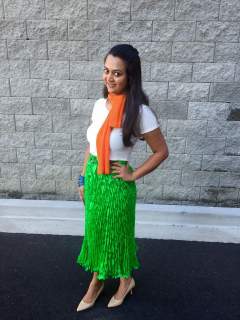 Simply pick an outfit with any or all of the tri-colors – orange, white, blue, or green that best suits your style. Cool and comfy, a white churidar kurta looks good on one and all. A chikan kari one looks more stylish and elegant. To make it occasion friendly all you have to do is to just pair it with a dupatta. 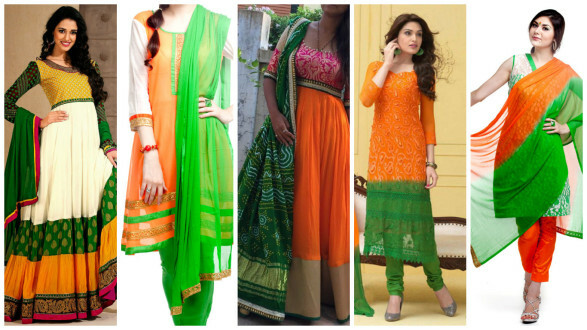 For republic day the best bet would be a tri-color dupatta, or simply an orange-green one. 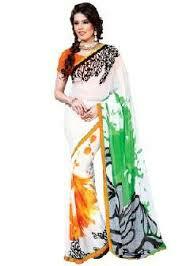 Go patriotic in style with a tri-color sari or the one that has a green and orange border on white. 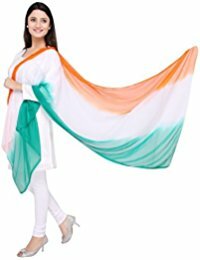 But if you don’t have one and still want to don a patriotic look, then over a bordered white sari simply wrap a tri-color dupatta to complete the republic day look. If you do not have a complete set of dress for the occasion, then you can mix ‘n’ match the white, green and orange colors and design your own style. 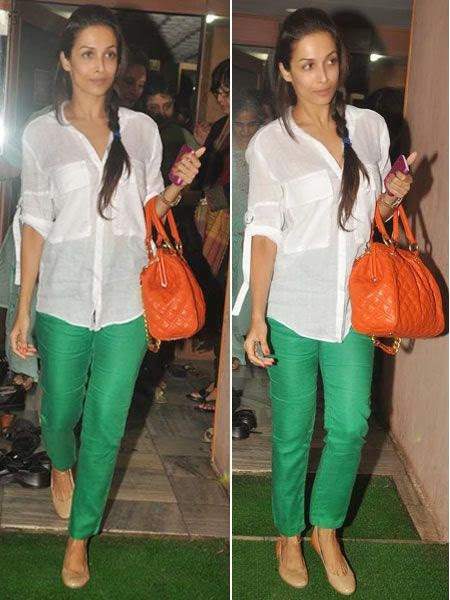 It can be an orange or green tee with blue jeans, or green – orange salwaar kurta. 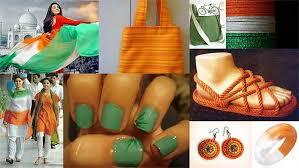 You can also accessorize anything that you wear with the saffron and green colors. Drape a shawl over your Indian outfit or an orange-green pullover for all those of you living in the colder parts of India. Look stylish in scarves, bindis, bangles or jewelry available in these shades. You can also opt for tri-color nail art to give a patriotic feel to your overall dressing. Whatever you wear on this Republic day, what will ultimately count is the love for the motherland India and the goose-bumps the national anthem will give you when the tri-color is hoisted.